Members of 2 Royal Gurkha Rifles have recently been in Kenya supporting the major Exercises taking place in the area. A total of 35 personnel from B Company, 4 platoon were deployed to Kenya as a force protection team. Whilst in Kenya the entire platoon took part in a charity run over 30 days to cover the distance between Mount Kenya and Mount Everest a distance of 6,133 km. 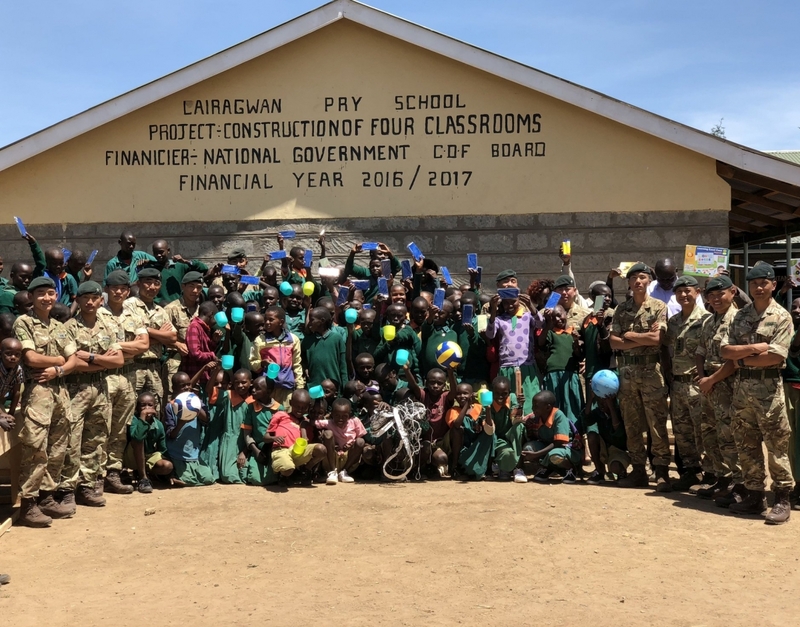 Lance Corporal Janga Bahadur Rai led this event and managed to raise more than 1,000 pounds for Lairagwan Primary School children in Nanyuki region, Kenya. This donation along with educational equipment and other gifts were handed over to Kenyan School and pupils before the unit returned to the UK. All School children and teachers were extremely grateful and pleased when they received the donation from Gurkhas.